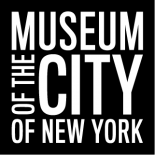 The Museum’s ongoing exhibition Activist New York recently debuted a new case study that explores the battle over birth control and obscenity laws that raged in New York at the turn of the 19th century. A visitor to the new “Social Purity” case will notice a photograph of a scantily clad woman lounging in front of a lion skin. This is the dancer Gertrude Hoffman (sometimes spelled Hoffmann), and it was her portrayal of the princess Salome and her subsequent arrest that earned her a spot in Activist. This entry was posted on August 3, 2017 by Christina Watson in Exhibitions, Theater Collection.